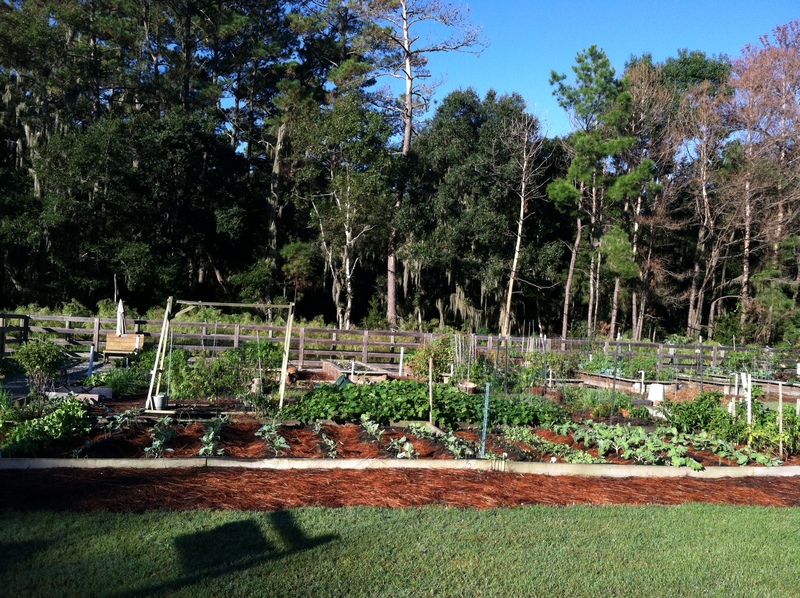 Renting a small garden plot at Skidaway Farm makes us farmers, I guess. 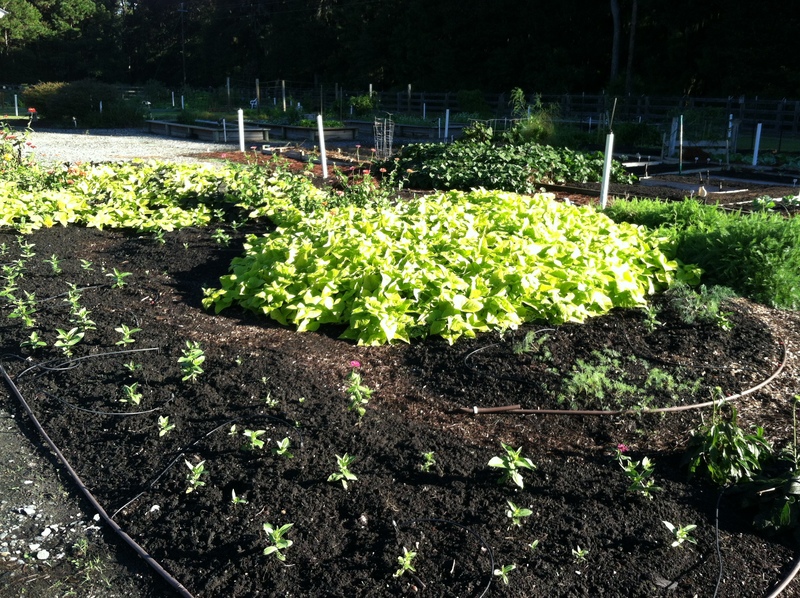 I certainly don’t feel like a farmer when gardening next to so many accomplished vegetable gardeners. 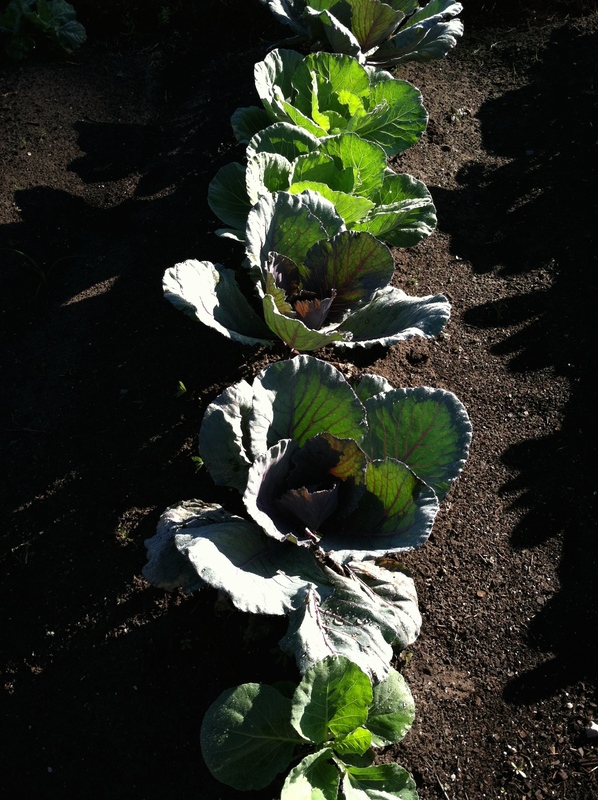 Give me a flower seed, tuber or bulb and I can grow with the best of them, but vegetables have always been a mystery. 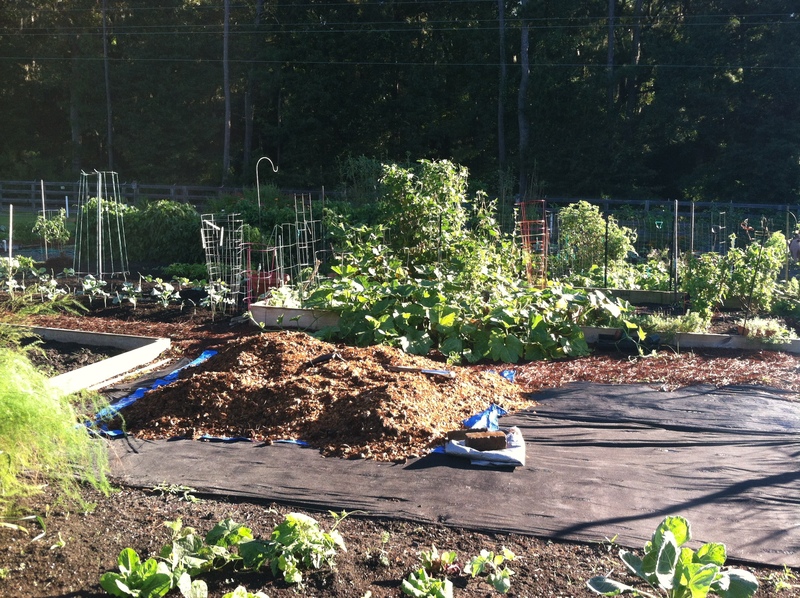 We chose a plot in the organic section, rather than the “conventional” section. I saw dahlias growing in the organic section, and their vegetables look healthy, though never as over sized as in the conventional section! So, I guess I made it harder for us from the start. When the baby snails showed up, we had to hand pick, and when the caterpillars arrived, we tried Dipel and soap and water spray. 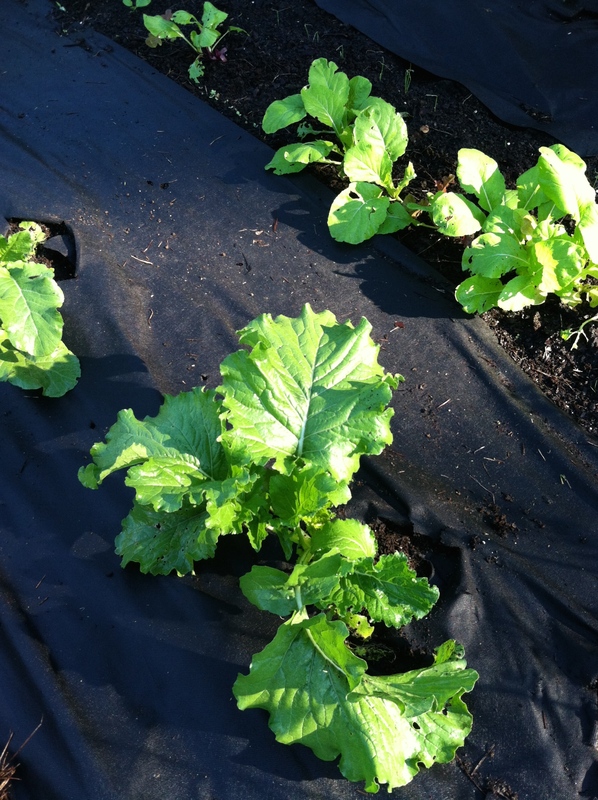 But the conventional gardeners must use bad stuff that insures flawless leaves because they sure don’t get chewed like my poor broccoli rabe or lettuce. Here are some scenes from the fall gardening going on in Georgia this morning! 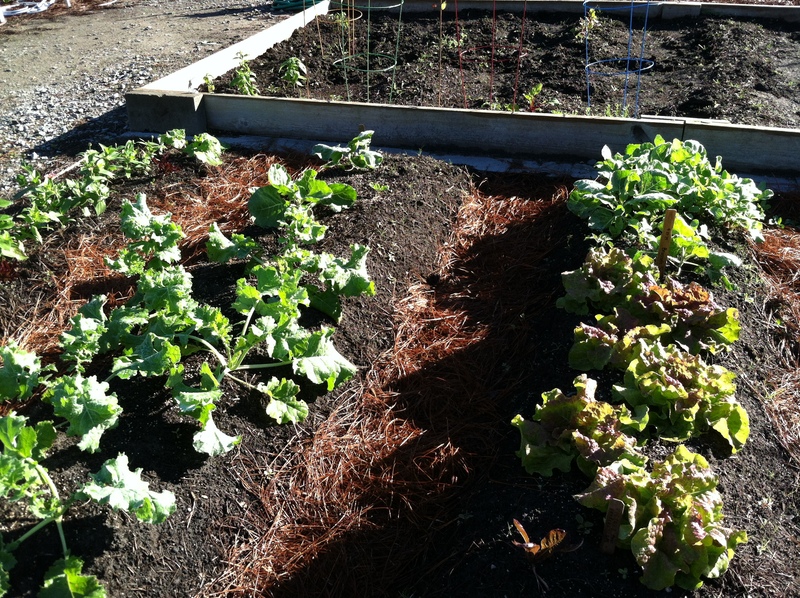 What are you planting in your fall vegetable garden? Are you trying to go ORGANIC? 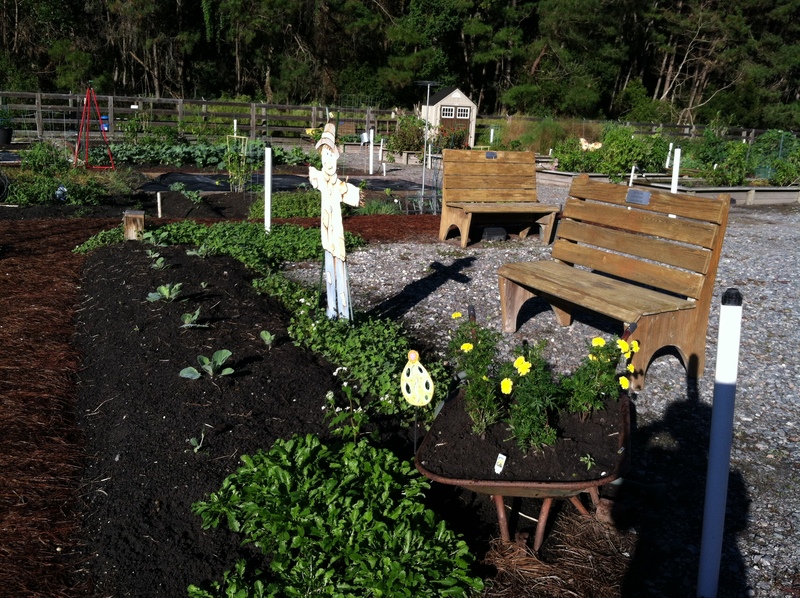 This entry was posted in Uncategorized and tagged Fall gardening, organic farming, Skidaway farm. Bookmark the permalink. 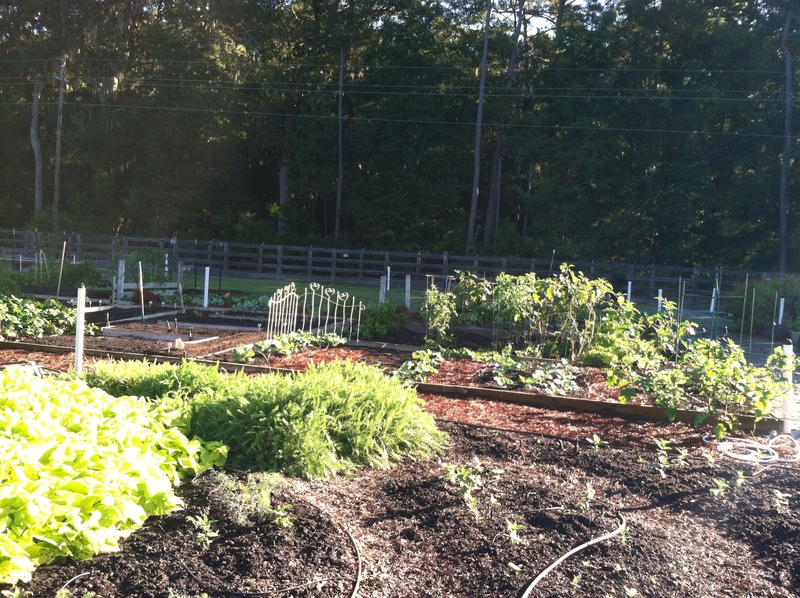 Beautiful garden with vegetables you aren’t afraid to eat. 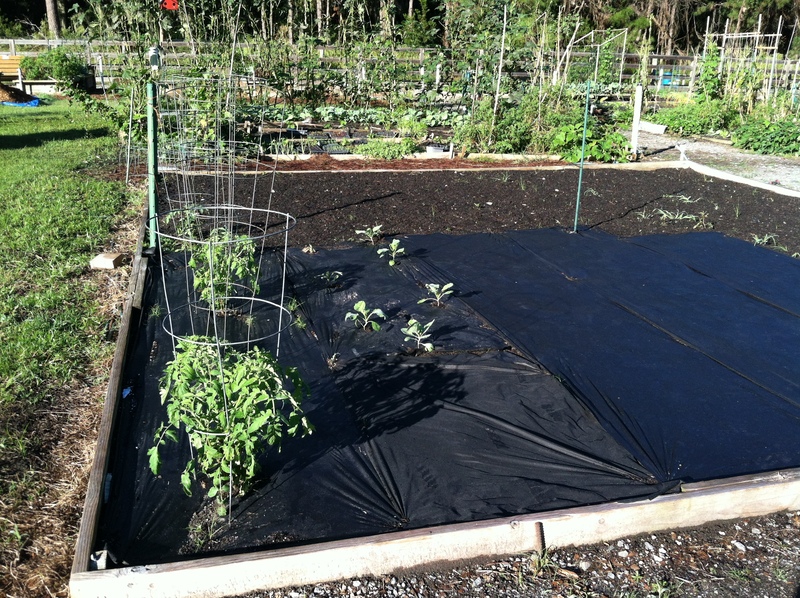 🙂 Here in New England we’re getting ready for winter so I still have some tomatoes under hoops but will probably take them out next week. Go organic! I would say you’re farmers, we always refer to our four little beds as “the farm”. 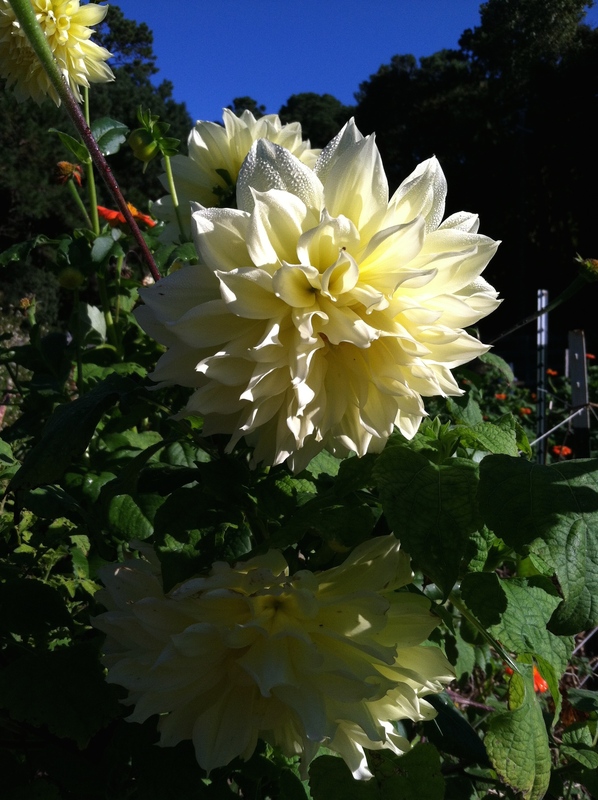 So are you going to try a few dahlias next year? I have grand ideas for the dahlias next year. Plan to start in January and have in the ground by the end of March! Unless I find a Coastal Georgia dahlia grower who tells me differently! Good for you, choosing organic! We’ve been organic for years – sometimes we lose a crop to critters, or we have to work a bit harder to keep them at bay, but usually there’s plenty to share. Even if our vegetables or flowers aren’t as big or as pristine looking, I know that it’s much healthier for us and for the local ecosystem. Besides, how are predator insects supposed to build up decent populations if their numbers get whacked back every year? Looks like a wonderful place to garden. I’m with you, though, I feel at home with flowers and ornamentals and out of my element with vegetables. 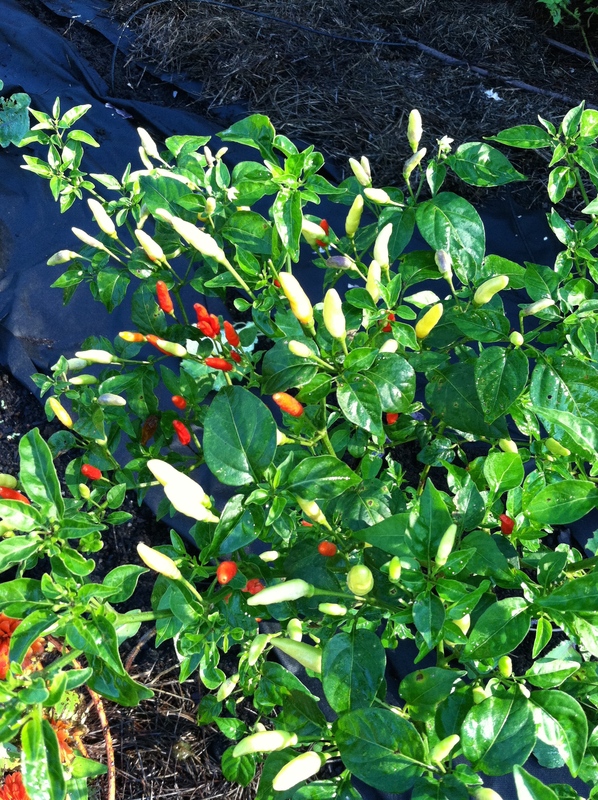 I’ve gardened organically for the past 9 years. But I only grow a few veggies. I grow tomatoes, carrots for carrot cake and the swallowtail butterfly caterpillars, and sweet potatoes in pots. 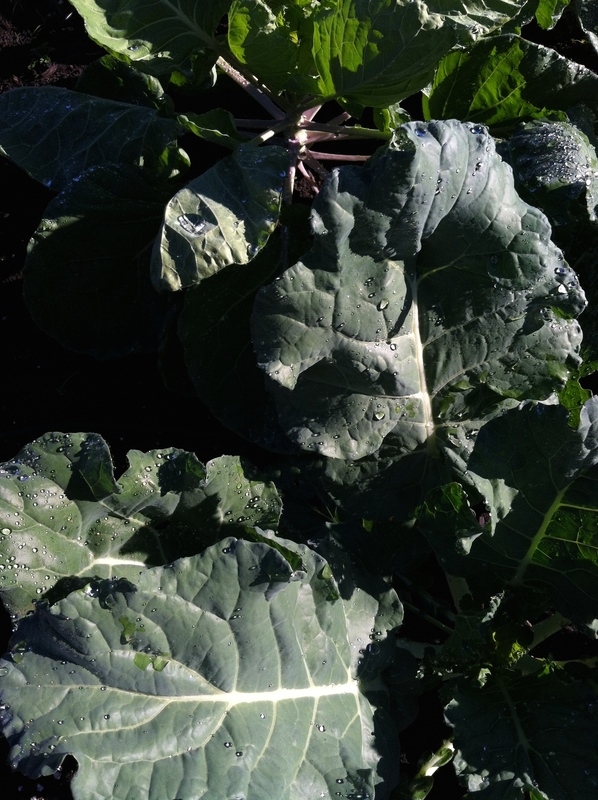 If the leaves/veggies aren’t safe enough for the bugs, they aren’t safe enough for me.